If you know me, you know that I emphasize the reflection process in my life as a way to learn, grow, and improve. Also, life moves fast, and so this is one of my favorite ways to capture the moments and look back on them too. Without further ado, this year’s top 10 moments in chronological order. 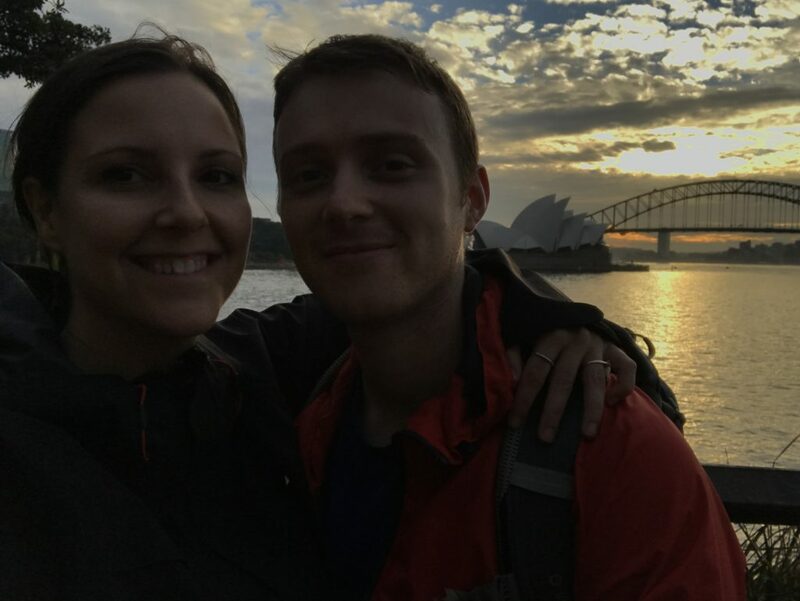 In May, my husband (then fiance) took a trip to his home country, Australia. It was my third time visiting, and we fit in quite a bit during our two-week stay. We traveled to Sydney and stayed in Coogee Beach. We walked the botanical gardens and took a cruise around the harbor with family during Vivid. We visited Canberra (their version of Washington DC) and sat in on Question Time. Took a trip to “the country” in Mansfield. Ended our trip with a visit to Melbourne. 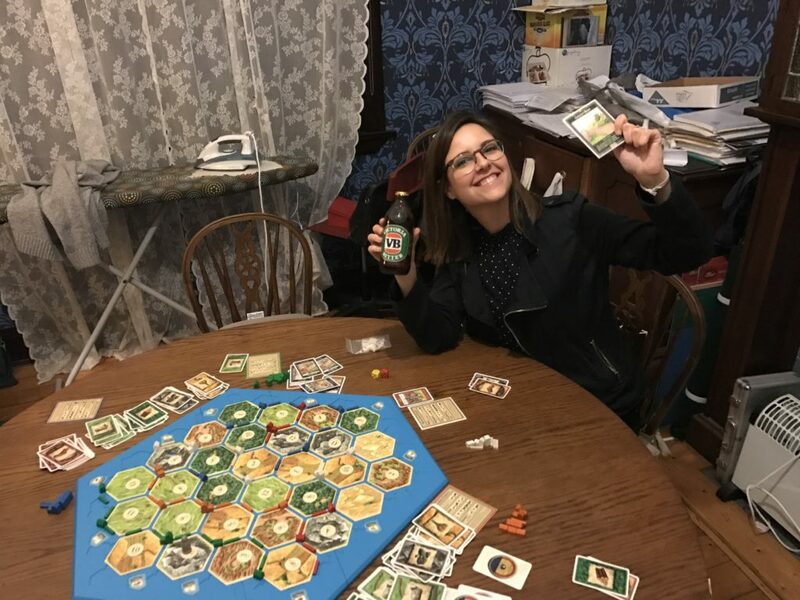 Me winning at Settlers and enjoying a VB. Us enjoying the view from Mrs. Macquarie’s Chair. 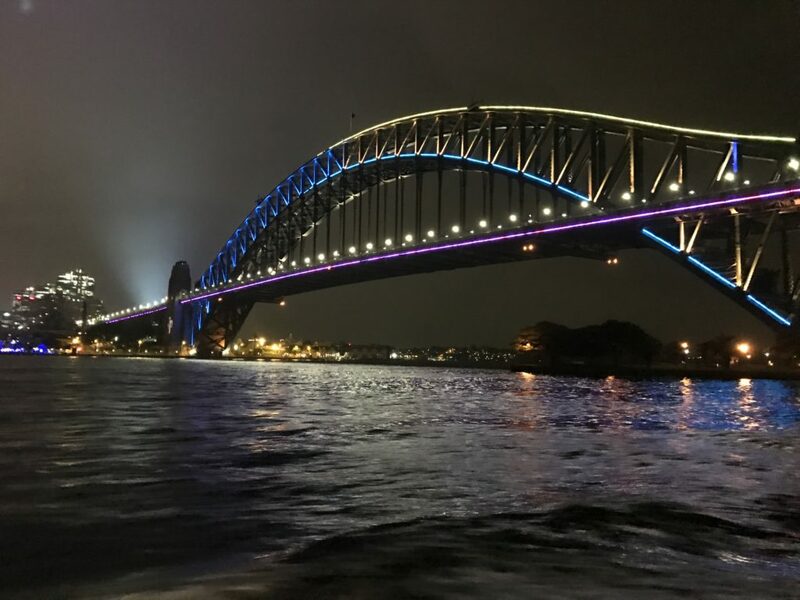 The Sydney Harbour Bridge during Vivid. Six years in life is a long time, and even longer at one company. 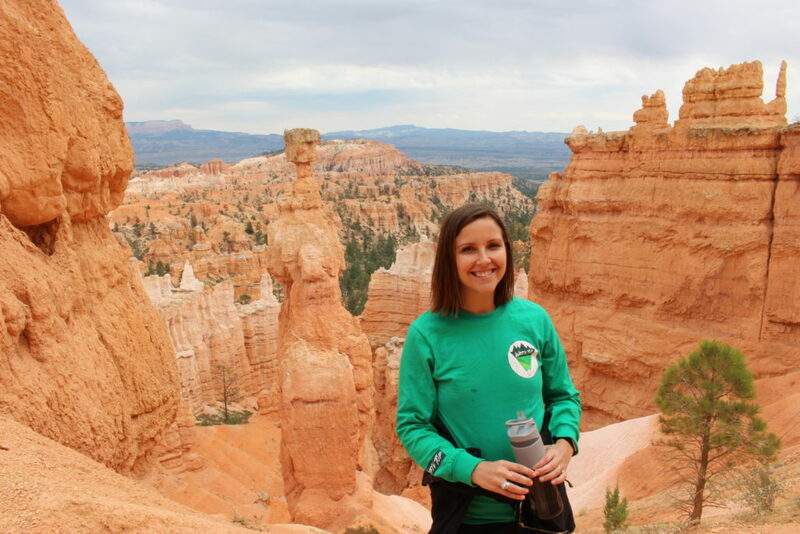 After more than six years, I decided to leave HubSpot. 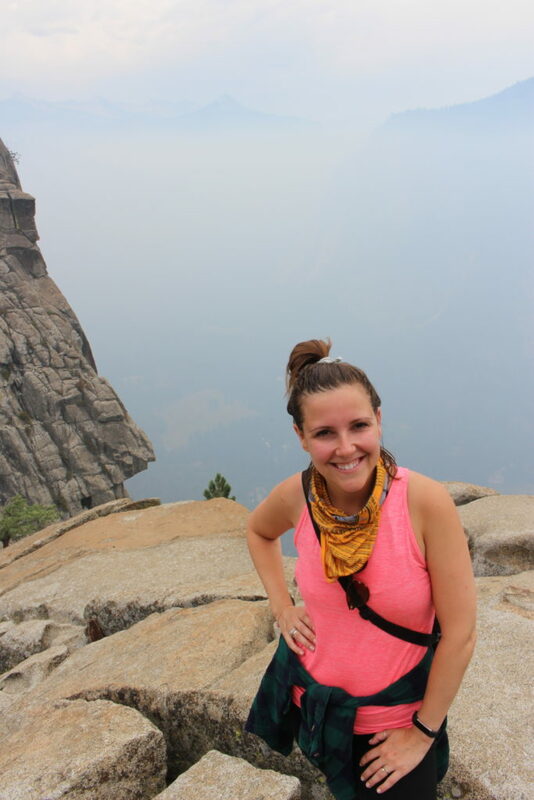 I left to experience more of life, diversify my professional experience, and increase my contribution to the world. This was especially difficult because I was leaving one of the teams that I helped build – the HubSpot Academy team. Started the HubSpot Academy division with two other remarkable people, and grew the team to 23 people. Along with the team, conceived and built our training webinars and videos, courses, the certifications program, inbound training day, and more. We started from ground zero and had zero users and nothing built when starting out, and when I left we had awarded over 73,000 certifications to the market. This was one of the more fulfilling roles because we were able to help thousands of folks get a job, promotion, a seat at the marketing table, and more. Talk about meaningful work. Responsible for transitioning us from webinar-based training to video-based content. This was a big and scary proposal, but after figuring out how to best approach it – our team manager gave me the go-ahead to test it out. Built HubSpot’s Learning Center with a few others. This was a vision I pursued relentlessly at all costs, and now it’s an integral part of the company’s offering. Leaving the company and the team was no easy decision. I sought the help of many mentors and even a career coach. If you’re contemplating the difficult decision to stay or leave your current job, check out Red Cape Revolution. Darcy Eikenburg is an excellent career coach who has helpful content and ways of thinking. She offers a course chalk full of introspection exercises and activities to better uncover your superpowers, passions, and goals in life. Also, this TED Talk helped tremendously to make the decision, and so did the book, Designing Your Life. 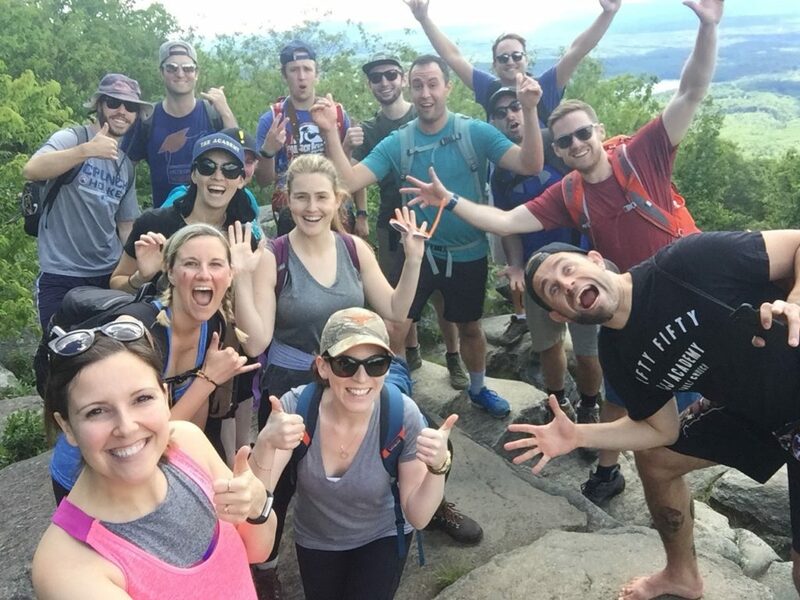 The impressive HubSpot Academy team climbing Mount Monadnock. When I decided to leave HubSpot, Ken and I decided we’d use this time to proactively plan our next chapter together. 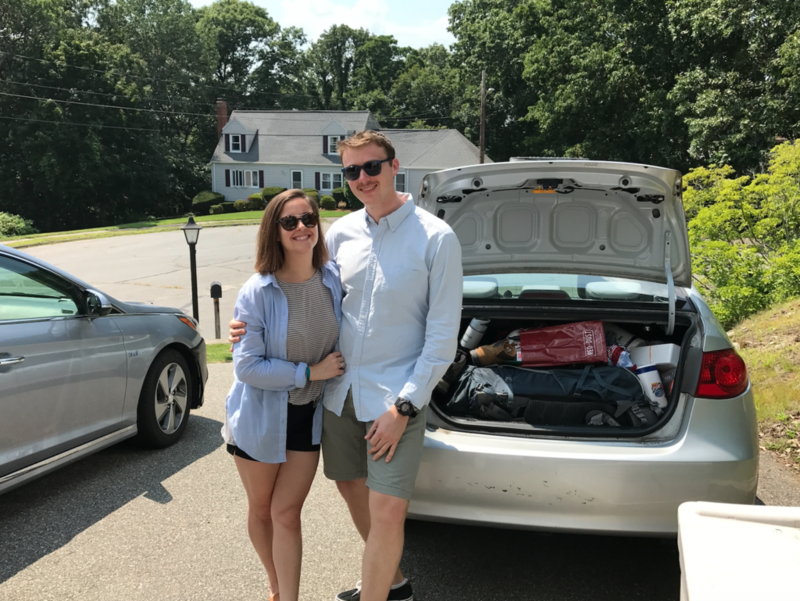 When we took a step back, we decided to use this time to travel, potentially move to a new city, and do some formal training. 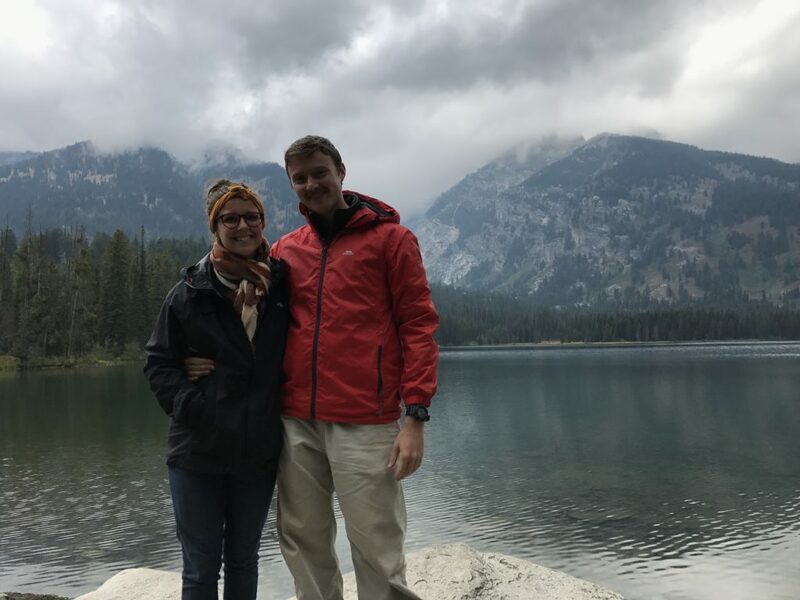 Thus, we embarked on a journey that we both always wanted to do – travel the entire United States. We traveled for 45 days and drove about 11,000 miles on our little Hyundai Elantra. We drove as far south as New Orleans, as far west as the coast of California, north as Seattle, and then came back through the middle of the country. Based on what I saw on our trip, I also was inspired to start Tech Job Training for Americans. Us on day 1 of our 45-day trip around the US. And the vehicle we traveled in. Zion National Park. 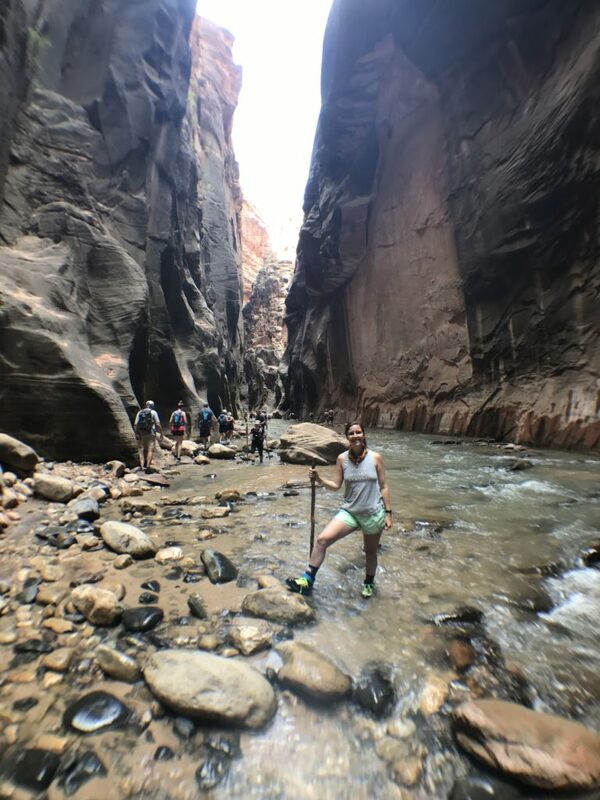 We hiked the Narrows, which wasn’t what we were expecting at all. 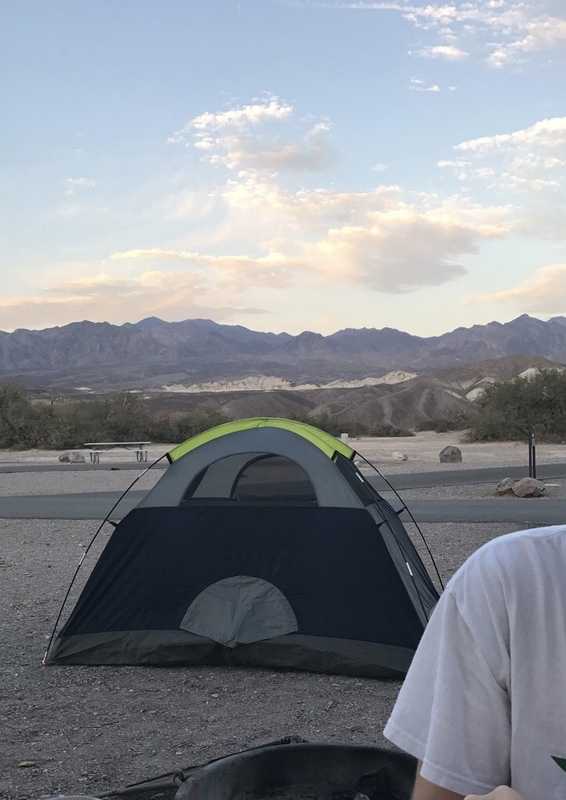 Death Valley National Park. It was 107 degrees Fahrenheit when we arrived. 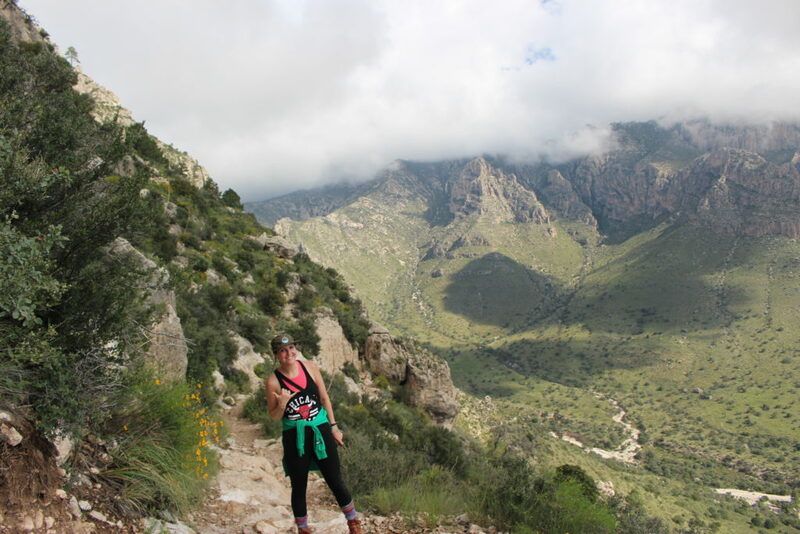 Climbing to the top of Guadalupe Peak, the tallest point in Texas. 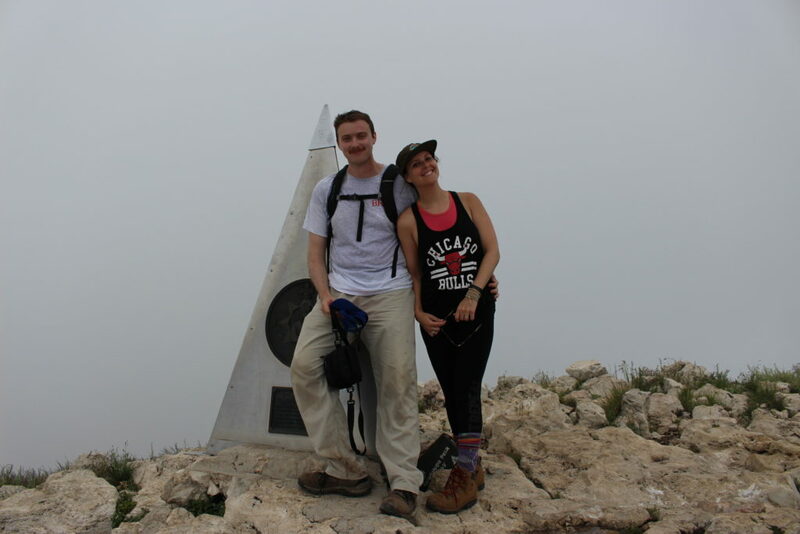 At the top of Guadalupe Peak with zero visibility. 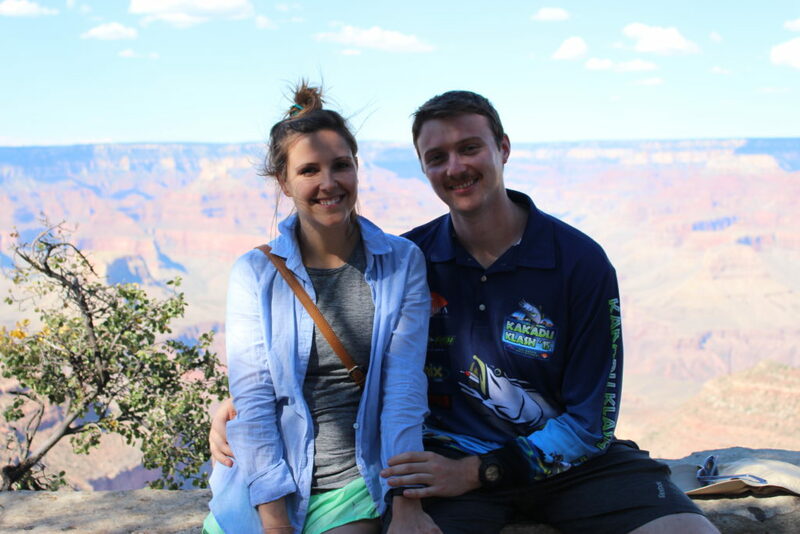 Us at the Grand Canyon, the day before we hiked down. Climbing to the top of Yosemite Falls. Notice all the smoke in the background. Rocky Mountain National Park 2 hours north of Denver. 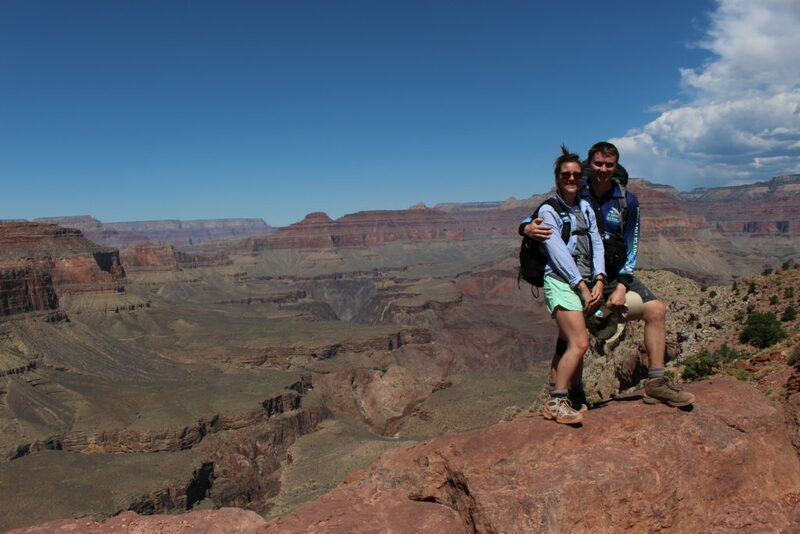 One of the most physically demanding challenges I’ve undertaken in recent years, hiking into the Grand Canyon was nothing to scoff at. We did our hike in the middle of August, one of the hottest months of the year in Arizona. We left way too late in the morning. We began our descent at 9:30 am. That is a huge no-no because…. 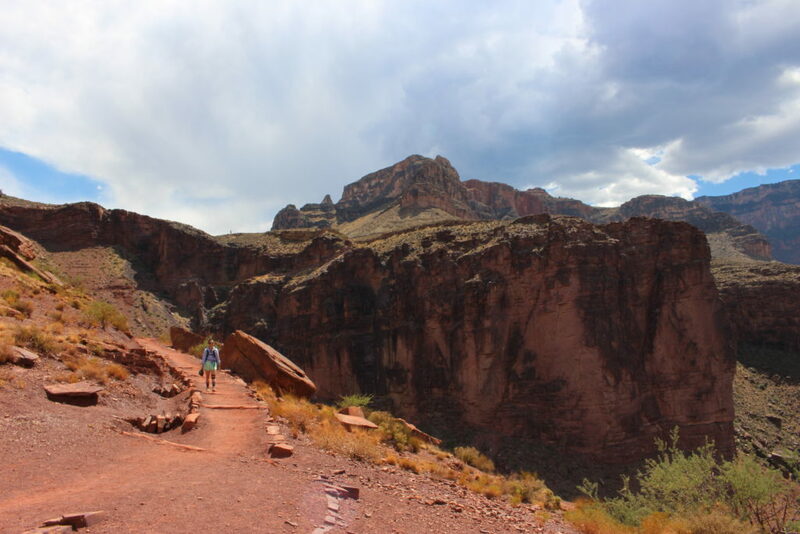 We also picked the one trail which doesn’t have access to water or shade, the South Kaibab. Halfway down our hike, we came across a small bathroom building which had a thermometer on it – it read 110-degrees, in the shade. 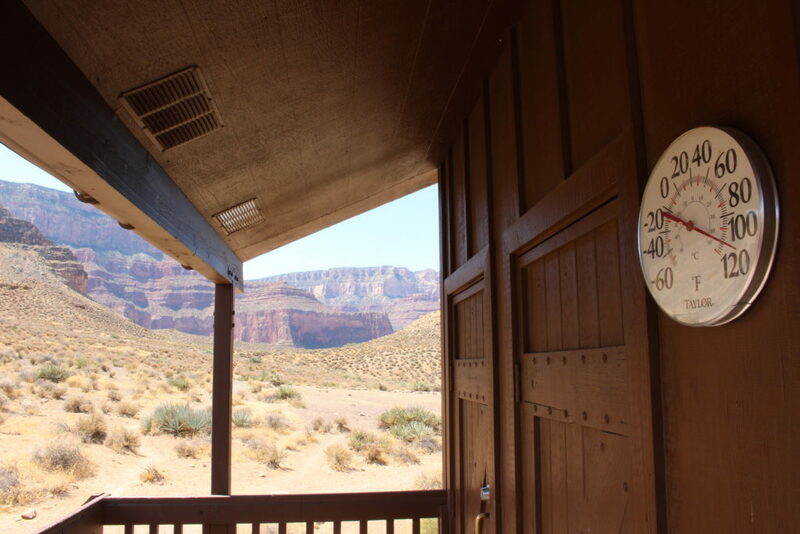 When we got to our campsite at the bottom, another thermometer read 130-degrees in the sun. No wonder when I got to the bottom, after a 5-hour hike I was loopy. About an hour into the canyon. 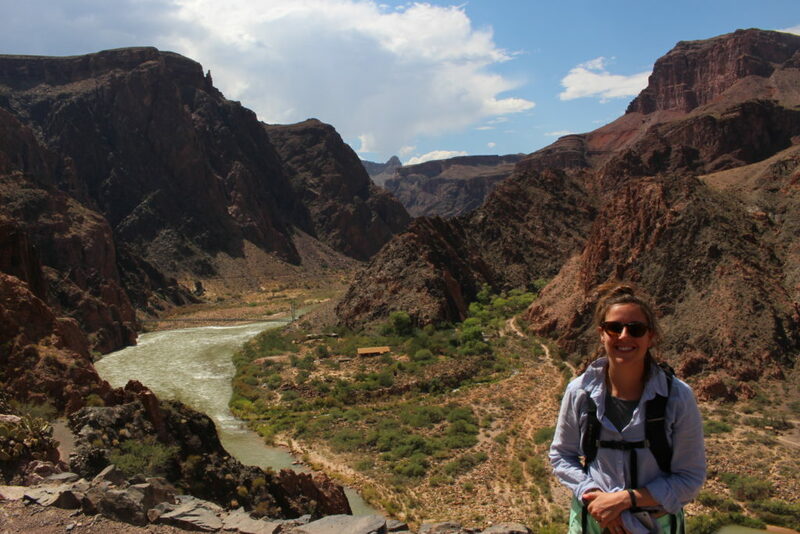 Here’s what it looks like toward the bottom of the Grand Canyon with the Colorado River. One of the beautiful parts of traveling the country was being able to see so many of our friends who now live across the US. We stayed with friends who newly moved to NYC. We met new friends in Raleigh, NC. We stayed with our good friend Brin in Austin and saw other friends who have recently moved there. We visited Sara in San Francisco and Rachel and Ryan in Seattle. We stayed with Ken’s uncle in Vegas, and grandfather in Chicago. We’re truly blessed to have such great people in our lives who are willing to let us both crash there and show us around their new city or hometown. If you travel across the country, you have to impose yourself. This was great advice I got from my friend Evan, and I’m so happy we took it. If you read my top 10 blog post from last year, then you know that Ken and I met in Rome. 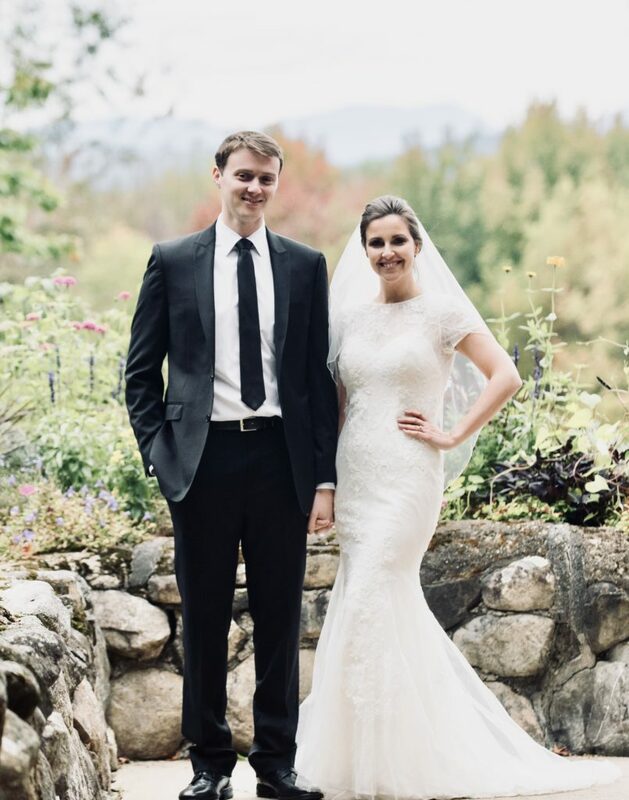 One year and nine months later, we formalized our union by getting married with 50 of our closest family and friends in the White Mountains of New Hampshire. One day after our wedding, Ken and I watched What the Health because a close friend recommended it. If you haven’t heard of it yet, it’s a documentary which “examines the link between diet and disease, and the billions of dollars at stake in the healthcare, pharmaceutical and food industries” Ken and I decided we’d try a 30-day vegan challenge. After 30 days of no meat or dairy, I lost 4lbs and returned to my high-school weight, had tons of energy, and ditched caffeine since I no longer needed or wanted it. I also didn’t need my allergy-induced asthma inhaler which was an excellent benefit as during the fall months I typically would rely on it. However, it wasn’t easy in the beginning. At the four-day mark, I began to feel listless and wasn’t sure I was going to make it through the 30-days. I felt sick and thought either I started battling the flu or I was ill because of the diet. After a new friend on Twitter generously sent me a free Purple Carrot box, we began to understand the power of nutritious vegan meals. Spaghetti Squash Pad Thai, and Asparagus and Mushroom Pesto (Video of them below, and full recipes here). After going vegan, I’ve remained a vegan at home and a vegetarian outside the house. Learn more about 30-day challenges here. 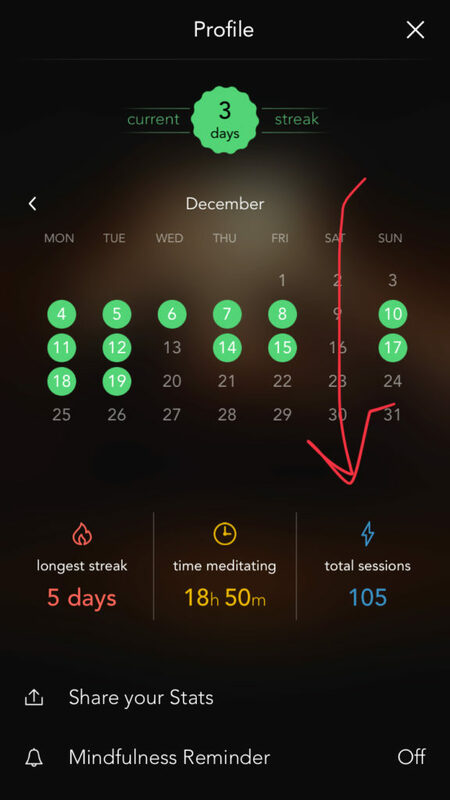 This year I meditated almost 100 times. Meditation was something I never thought I’d do, be interested in, or need. However, when a colleague said he meditated to “add some yin to his yang,” it got me thinking. I worked at a fast-paced company, on a fast-paced team focused on innovation, and my workouts were HIIT. Everything in my life was yang, so much so that I didn’t truly understand the yin side. I’ve become a spectator of my thoughts. I don’t always let my thoughts or emotions at the moment drive my interactions, as I can now see them for what they are – they’re akin to clouds floating by as they’re never permanent. I’ve begun to appreciate silence, solitude, and being with myself. I learned about stoicism while talking about meditation, which is a philosophy I now subscribe to and study. There are so many quality meditation apps available for download for you to choose from. I’ve been using Calm, and I love it. I’ve recently signed on as cofounder and head of marketing at an early-stage startup based out of Boston. Do NOT Set a New Year’s Resolution; I Beg You. Do This instead. Marketers can save the world AND deliver tons of business value by creating online courses. 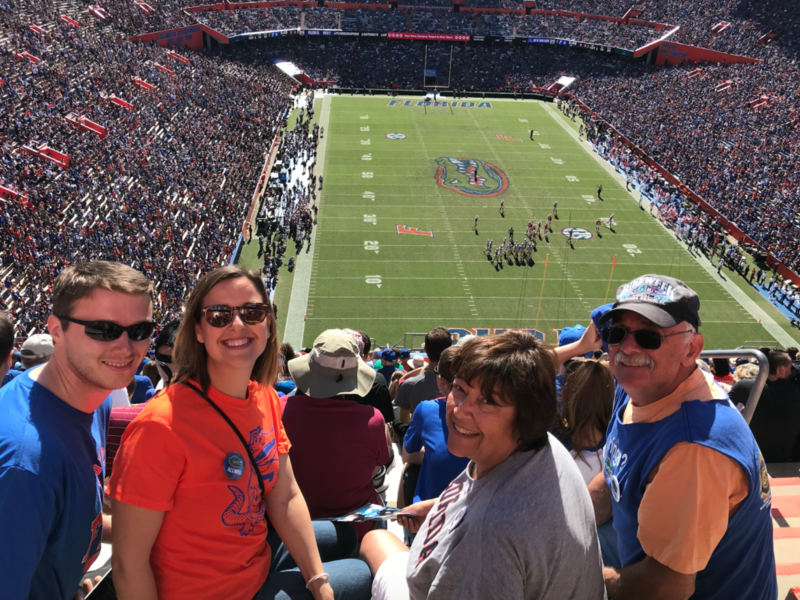 I also went back to my alma mater, the University of Florida, for a football game with my husband and parents. 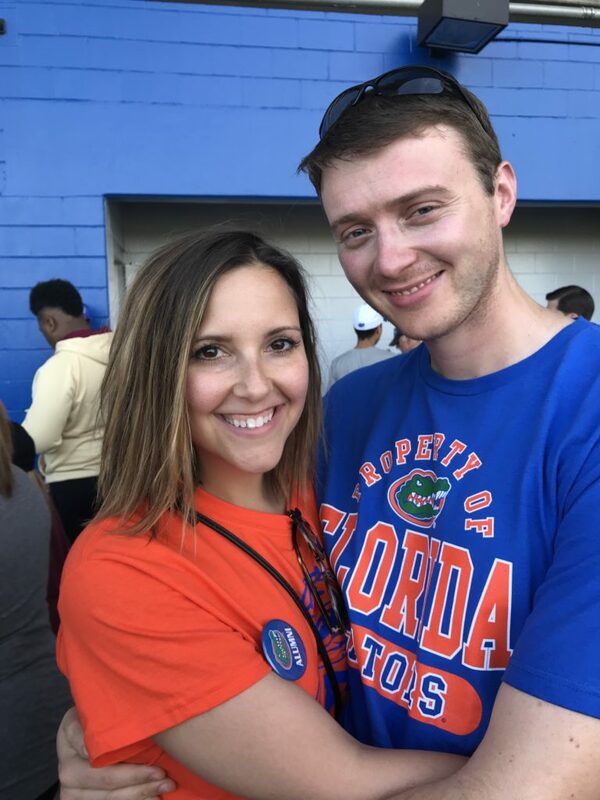 I loved being able to show them where I took business classes, my favorite restaurants/ bars, and take them to a game to give them some insight as to what it’s like to be a Florida Gator. Another excellent year full of exciting moments has passed, and I look forward to seeing where 2018 takes us. Some of the best mental breakthroughs I’ve had in my life have come from the shortest videos I’ve found on YouTube. After watching this inspirational video, I was craving for the next month to begin so I could start my 30-day challenge journey. 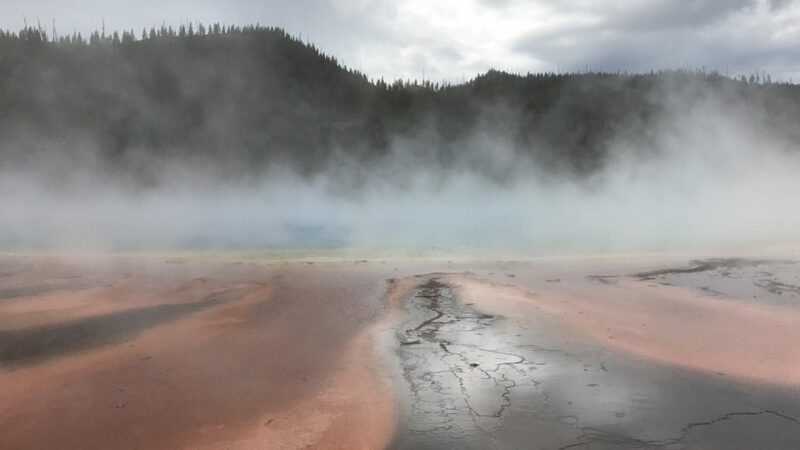 My first challenge was one which Matt Cutts recommended – the photo challenge. It was to take one photo a day for 30 days. Many of them I posted to my blog (yup, the one you’re reading now) with their location, my take, and why it was important to me at the moment that day. While it was pretty easy as far as 30-day challenges go, I began to feel myself growing. 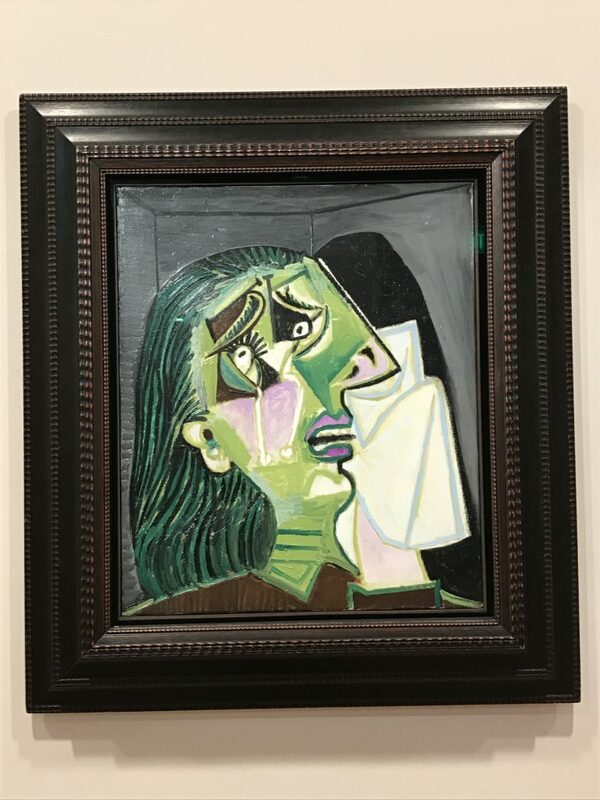 At the end of the 30-days, I developed more awareness of the world around me, I found a passion for art, and I even found more confidence in myself. The life I now live, five years after first watching this video, is paramount to what it would be without the video. 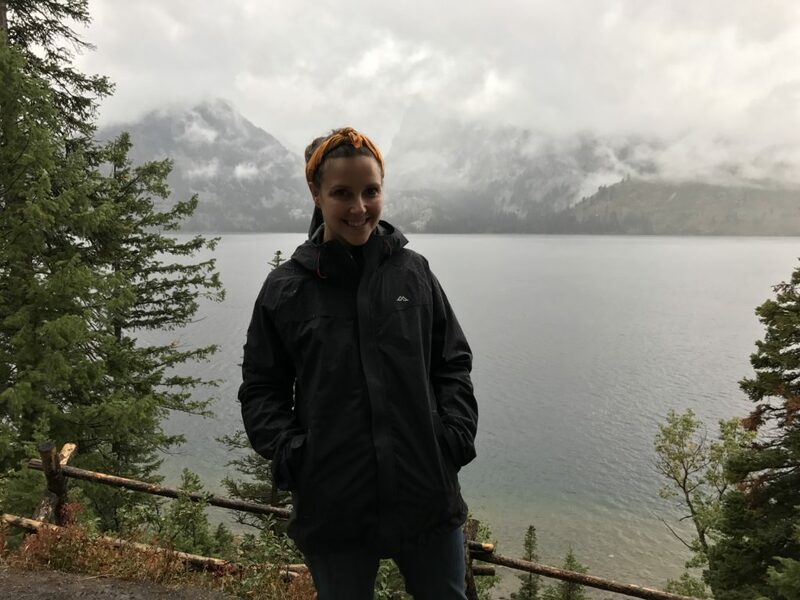 I’ve done the photo challenge, three Whole-30 challenges, a vegetarian challenge (turns out it doesn’t work for me), a new recipe challenge, a fitness challenge (I have now worked out basically 5 days a week for the past 4 years), and so much more. This video not only led me to try a lot of new things in life that I wouldn’t have considered otherwise, but I also started a blog series around them, talked about the topic at many Toastmasters speeches, and even got to experience the fruits of my labors in different ways than I knew possible. 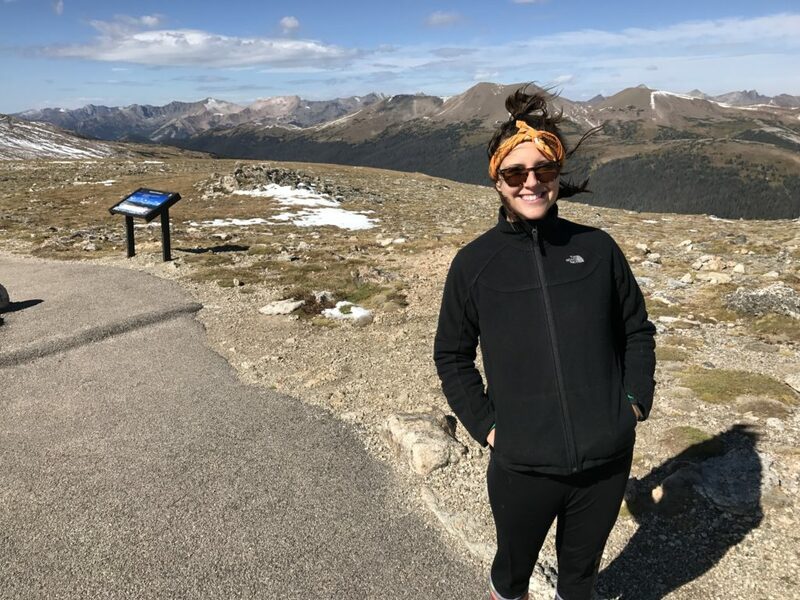 For example, completing the fitness challenge led me to climb Mount Washington with several friends and train for a half marathon – two things which I never even considered with my realm of possibility beforehand. Time: 5 minutes 41 seconds. I loved this video so much. Not only is Derek informative, but his clever use of supporting video footage was exceptional. If you’re alive, you’ve encountered stress. I found what matters most to me is understanding what stress looks like, how to deal with it, and the best yet -how to thrive from it. This short video delivers a huge punch when it comes to better understanding how your brain works under stress. For a while there, the internet was filled with content like “5 Morning Routines from Top Tech Execs” and “10 Tips to Being Your Most Productive Self.” At first, I ate these up. They were like food for body or puzzles for my brain. They were incredible and a lot of what I learned, I applied. Then I got bored with them and realized that while there was some advice in there, it wasn’t the 10x growth I was looking for in life. Then I found my career coach. My career coach and I talk a lot about mental states (not quite like this), and that is how 10xing your happiness, your success, your growth — everything really, is actually possible. We’ve heard from inbound marketers everywhere that the internet has changed the way people buy and connect (ahem, live) online. And now we’re seeing that the internet has changed the way people learn too. There are tons more learning opportunities available. There are more lectures, trainings, and videos accessible than ever before, and from top-tier universities and businesses too. (Aside: Companies are now starting to see the value of getting into the education/training game for their prospects and customers too – AirBNB, Uber, Shyp, Kickstarter, Postmates, Hootesuite, Tailwind, Bulletproof, etc. etc. etc.). The internet has also made it easier for people to learn through doing. Before it was hard to get marketing experience unless you were interning or working for a company. Now you can do this all yourself. Test potential theories (e.g. which CTA works better) easier and quicker, then iterate and adapt quicker, and then produce content available to the world which contains the learnings quicker than ever too. With the rapid cycle of change, most industries are seeing the opportunity to step ahead of traditional educational systems. Think about it, for universities and professors, a syllabus is something a professor works on for years to perfect. Now one change on the internet can throw a wrench in their plans. That’s why many people are now turning to the industry leaders who are people or businesses to learn what they need to know about a topic. Queue the reason for the article – technology is encouraging people to learn differently and from different resources too. Industry thought-leaders and top businesses are now bringing their knowledge to the masses. They’re hosting content on their own websites, on online learning platforms like Udemy or Udacity, and are even building their own proprietary software (like we did at HubSpot). 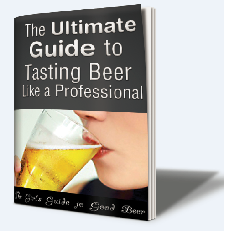 Who better to learn from than the industry experts in their field. Brian Balfour and Andrew Chen’s Reforge Growth Series for $3,500. Justin Champion’s Content Marketing Certification course (pre-register) for $0. 9 video classes taught by experts. Sujan Patel’s Content Marketer Bootcamp for $497, $997 or $25,000. Bonus from Sujan, his 100 Days of Growth eBook for $27. I read it. It was good. Real good. Sam Altman’s How to Start a Startup for $0. 20 video lectures taught by experts. HubSpot’s Inbound Certification course for $0. 12 video classes taught by experts. Isaac Moche’s Email Marketing Bootcamp course for $0. 9 classes. The Accidental Salesman’s Consultative Selling MasterClass for (?)$. It’s a 1-day training which can accommodate up to 21 people. (I found this via the comprehensive list by Docurated here). Mark Roberge’s Inbound Sales Certification course hosted by HubSpot Academy for $0. 5 on-demand videos taught by sales experts. Dale Carnegie Training’s Online Sales Effectiveness Courses for $0-199. There are ~13 courses available. I’m a big fan of this company’s training materials. Luke Summerfield’s Growth-Driven Design Certification course hosted by HubSpot Academy for $0. 13 videos. HubSpot’s HubSpot Design Certification for $0. Learn some of HubSpot’s design tools, get a free Developer account and learn via the 6 video classes.